RCMP in Stony Plain say two trailers loaded with grain were stolen from the side of Highway 16 last week. 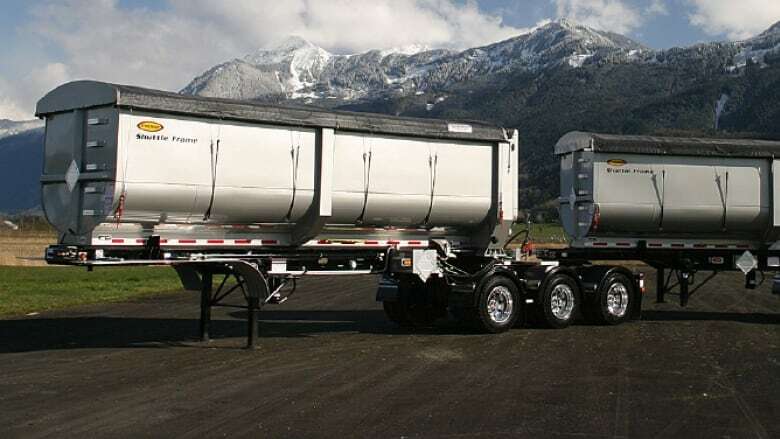 RCMP in Stony Plain are looking for two trailers, loaded with 40 tons of grain, that were stolen sometime last week from the side of Highway 16. The trailers were parked off to the side of the highway's westbound lanes, 1.6 kilometres west of Highway 43, because the truck pulling them had broken down, RCMP said in a news release Monday. The trailers went missing sometime between 5 p.m. Thursday and 2 p.m. Friday, police said. The trailers are black Tycrop End-Dump B-Trains that had 24-foot silver tubs attached, approximately two metres tall. Their loads were covered with black tarps, police said. They had B.C. licence plates 80457U and 80456U. Anyone with information is asked to contact Stony Plain RCMP or Crime Stoppers.